(a)All eligible candidates are required to appear for the suitability test (written) examination consisting of objective type questions prepared based on the syllabus of the training at Apprentice Schools. (b)Mere appearance in the examination does not confer any right on the candidate to claim for appointment unless he/she fulfills the eligibility criteria as given in the succeeding paragraphs. (c)Written examination consisting of 100 marks of objective type questions of General Knowledge, General English and Technical subject in appropriate feeder trade. (d)The qualifying marks for the suitability (written) test is 50% for Un-Reserved candidates. 40% for reserved (ST/ST/OBC) candidates against reserved vacancies. (e)All candidates who are otherwise eligible and have scored qualifying marks will be considered for absorption in respective trades as per their inter-se seniority list prepared based on their year of passing out from Naval Apprentice Schools to the extent of vacancies available in the trade. 6. The vacancies are subject to variation. 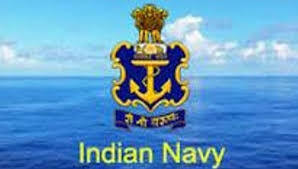 The Admiral Superintendent,ND(V) has the right to cancel the advertisement at any stage due to administrative reasons. 8. It is mandatory that the envelope containing the application should be clearly superscribed in BOLD letters the notation “APPLICATION FOR THE POST OF TRADESMAN(SKILLED) IN THE FEEDER TRADE OF ______________ , APPRENTICE FROM _______ TO _________” and also the category for which they applied for viz UR/OBC/SC/ST/PWD.